Restore precious moments with Cupertino places from the old days, you and your spouse, young kids, grand children Convert old camcorder tapes to mp4s and protect them for future generations to know their history. If you've got favorite footage of your kids or gandkids captured on VHS video tapes? Move them into the 21st century! Convert them to DVD and preserve them forever. Some of your favorite music could be trapped on out dated technology. 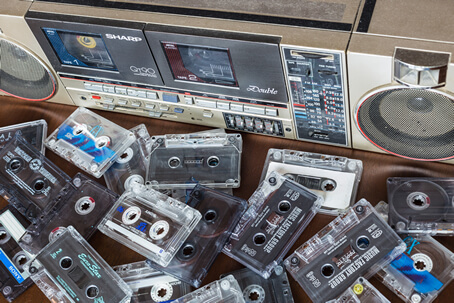 Music on cassette tapes, vinyl or even CDs often can't be enjoyed anymore. You can get them converted to mp3s and start dancing to the tunes of the good old days! Convert Your Memories in Cupertino to Digital Today! AV Conversion Services can protect your precious memories. We'll convert your Video and VHS to a DVD format. The appearance of VHS, Betamax and other types of tapes will degrade over time and use. Eventually your videos might lose color, or sound, which would show a decline in quality. 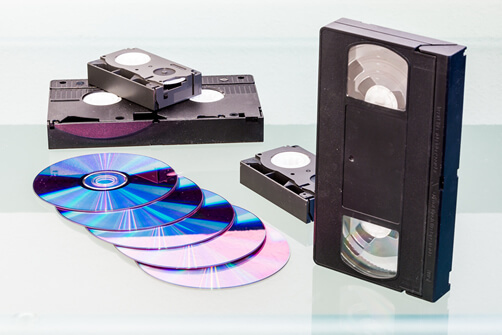 Digitize your favorite Hi8, Betamax, video, camcorder, VHS and other tapes to DVDs to protect their condition. DVDs maintain their performance for a long time, but it is recommended that you get a back up of your DVD, because they can get lost or broken. 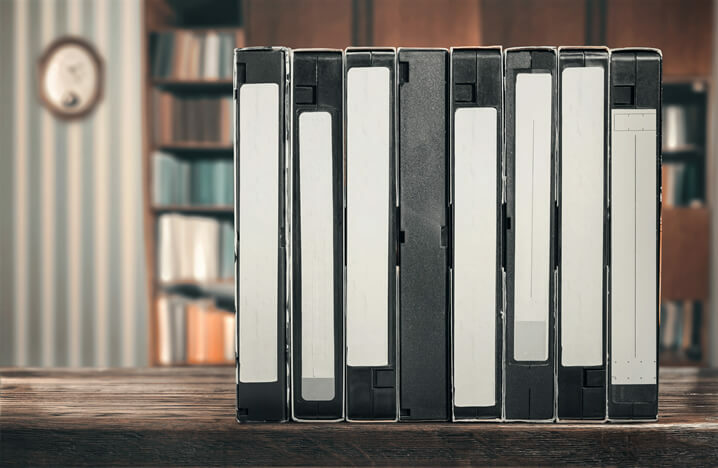 When you digitize your VHS and other tapes to DVDs, your memories will be viewable and enjoyable for years. Using the DVD-R standard, we create your DVDs so they will be very compatible with other systems. We use the very best and most expensive DVD-R discs to be certain your disc is compatible and reliable. We apply a full color label directly on your disc for your easy identification. AV Conversion Services can do film transfers for 8 mm, 16 mm or Super 8 films to new DVDs, Bluray or even to a digital file for editing. Our film transfers are done in-house with the latest scanning machines. With some of our scanners we can reproduce the sound on films while our RetroScan universals can scan other types of silent film even if there are worn sprocket holes. 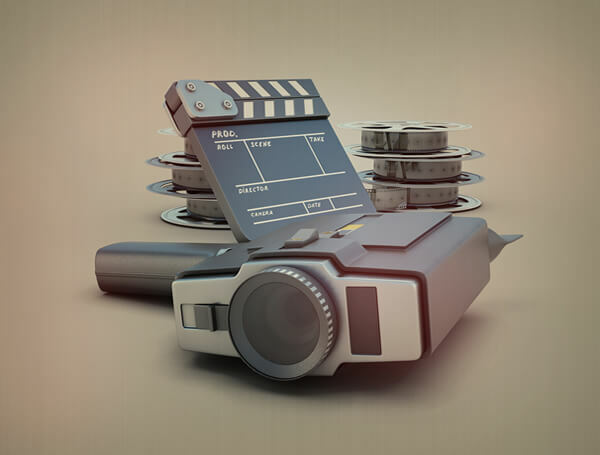 Our film transfer pricing is simple an comprehensive – just what you need. Results are simply amazing. The best possible result is accomplished with our high end exceptional machines and our professional technicians. Once we get your film, we have to clean it, then lubricate it with an anti-static solvent. Any damages to your film are inspected and repaired to get ready for scanning. Frame by frame scanning makes a transfer that's crystal clear and with no flickering. 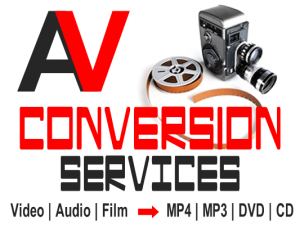 AV Conversion Services will transform your Camcorder, VHS, VHS-C, Hi 8 and Mini DV video tapes into the finest quality MP4 files. These compatible MP4 files can be played or edited on most MAC and PC computers. Plus, they can be imported with current software programs. This common digital file type can be transferred to video sharing sites or even to smart TVs for instant viewing. After getting your Camcorder, VHS and Hi 8 videos, we'd like to compile information to complete the project as you expect. We'd mark each tape with a number then convert it into a digitized format. On completion, we ship your files to you on a USB Flash Drive or Hard Drive with your originals. When you get the MP4 files, the drive can be inserted into your computer and viewed repeatedly, for years to come. We have the newest high tech professional equipment to change videos to MP4 files. Improving the quality of your video occurs, by correcting and balancing color and light when using our multitude of machines and decks to produce your MP4 file. After moving the videos to our computers, we examine audio levels and realign any noise levels, to improve them to provide the best possible results.